From Jen to Zen: Wow! Okay, so those of you who know me know that I usually don't do a lot of self promotion on my blog. That's not why I started blogging in 2010 and that's not what I use my blog for. But this was the best writing week, I've had in years. I don't really mean in terms of words written. I think I only wrote like 3000 words this week. (Although, after my furlough that's an improvement). 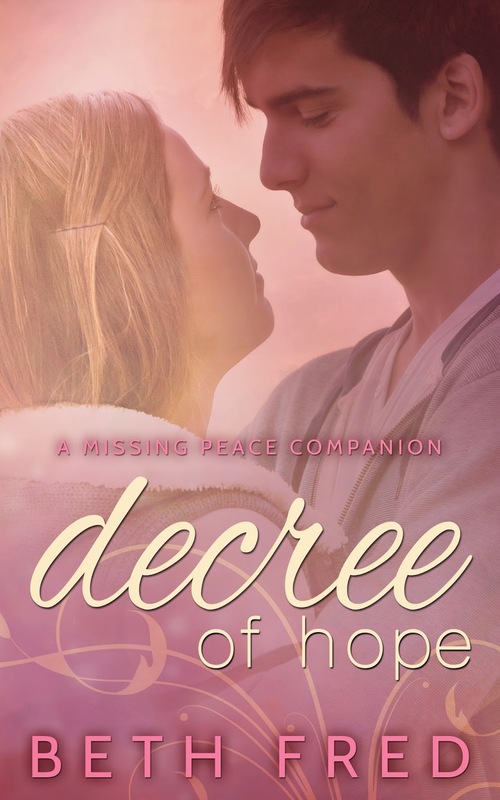 Decree of Hope got down to #6 on the YA Romance list while it was free. (And there is the caveat, is was free). But Peace started selling then which was exciting. And The Fate of Marlowe Girl hit several lists again for the first time since 2013 which caused The Other Marlowe Girl to start selling again. And Decree of Hope (now paid) is still #74 for YA prejudice and racism. In the midst of all of this, Charity Bradford asked me to be in a clean romance anthology which Cassie Mae may be part of. This is so exciting. I feel like I may have a career again! And to celebrate, I've decided to post an excerpt that I haven't seen anyone on the blog tour post yet. I wanted to be mad. I knew I was supposed to be angry, but that was the sweetest thing anyone had ever said to me. Beth, all of this is such fantastic news!!! Congrats on it all and way to go on the anthology. Congrats again! It's always fun to see those rankings get better and better.